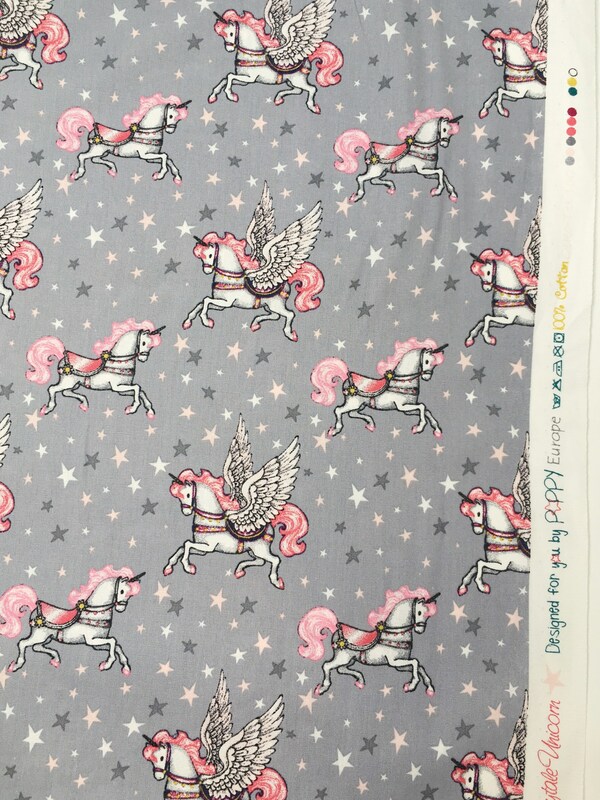 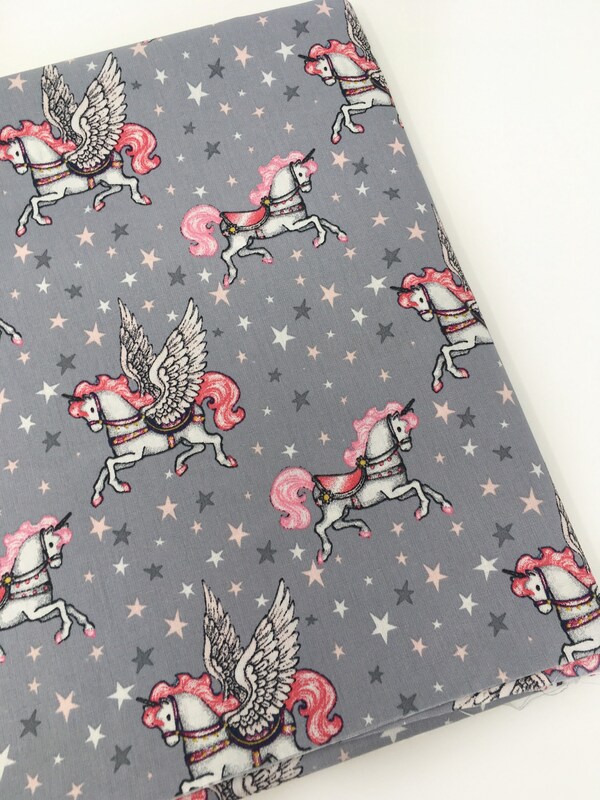 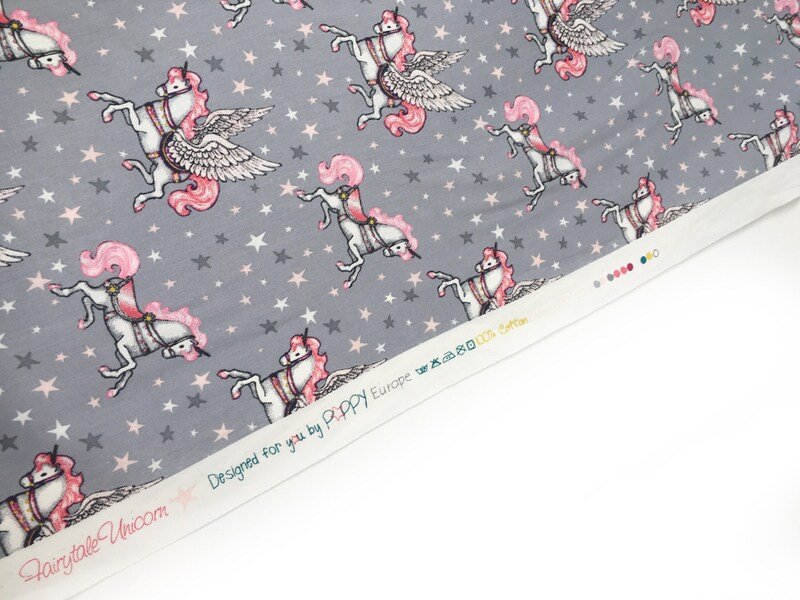 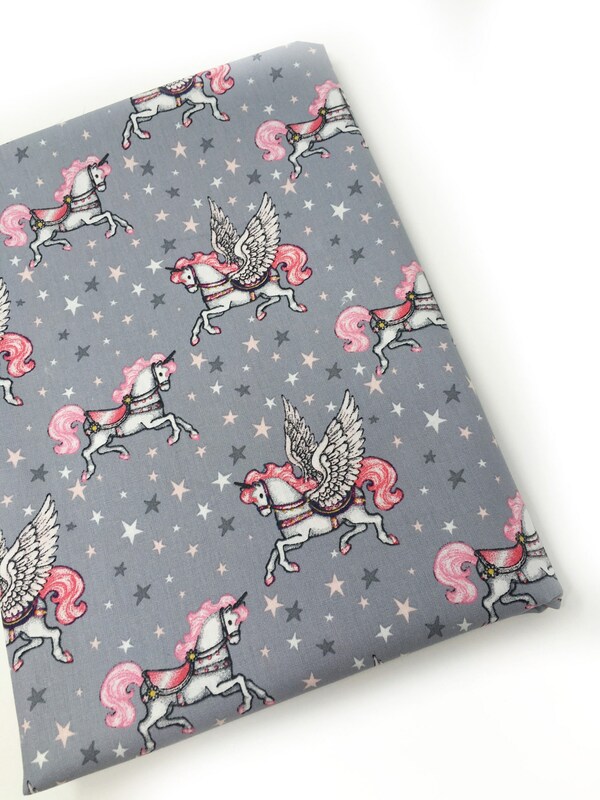 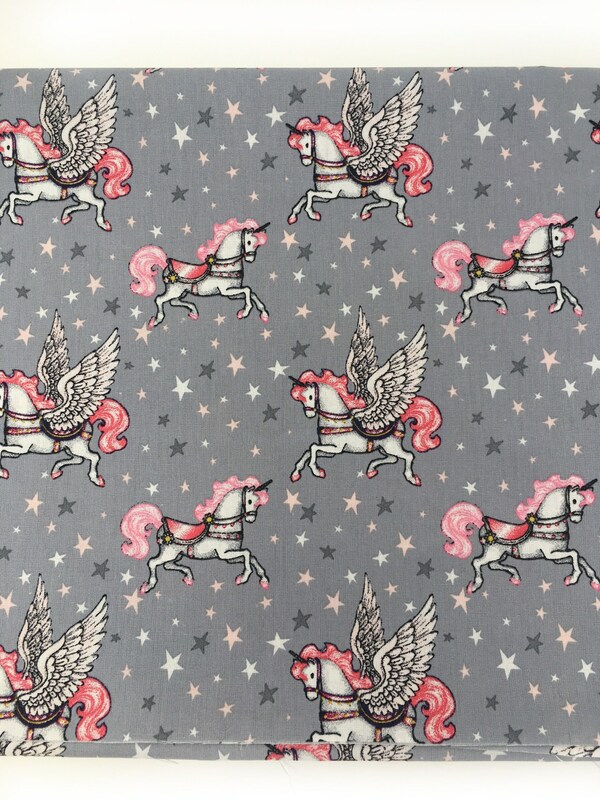 Pegasus printed fabric with a grey base and soft pink wing detailing. 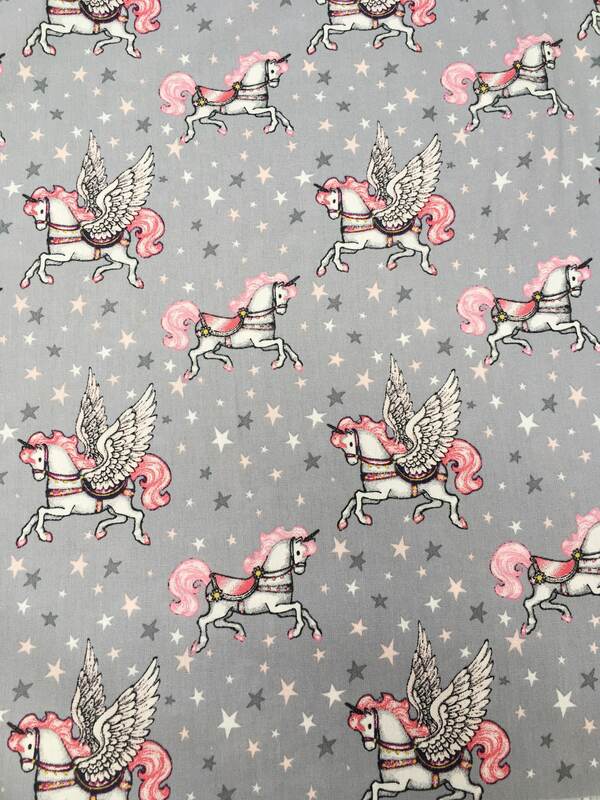 This sweet fabric is 60 inches (150cm) wide and is 100% cotton. 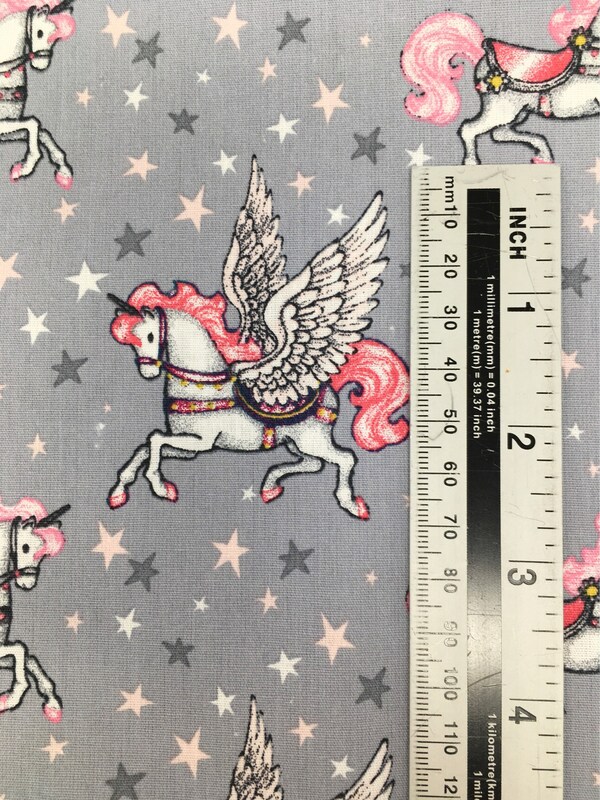 Approx fabric weight 125 gsm. 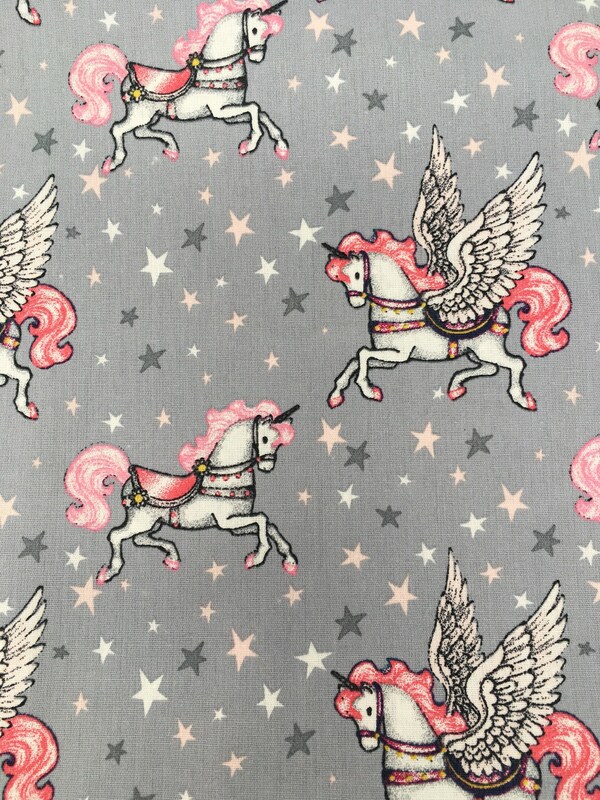 This beautiful fabric would be perfect for dress making or other sewing projects.